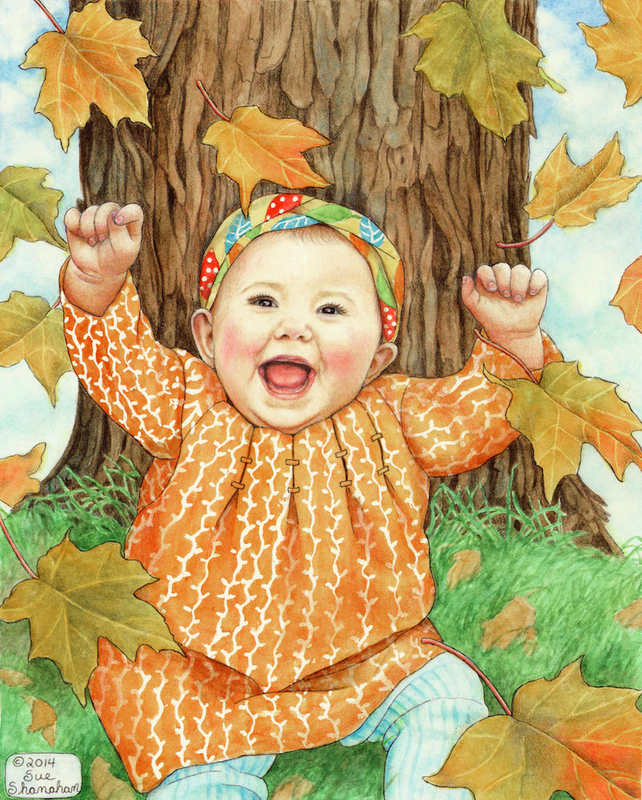 November is National Picture Book Month. It’s a gentle reminder of the importance of reading printed picture books to the children in our lives. I wish I could tell you what being read to, nestled in my mother’s arms, meant to me, but I didn’t have that kind of mom. What I can impart is the experience of reading to my own kids. It was routine for me to enjoy books with them before they fell asleep. The books I picked out helped them get to know me, and the ones they chose showed me who they were. Our eldest, Rob, was a big fan of Chris Van Allsburg’s The Polar Express. To this day, no one enjoys the magic of Christmas more than him. One of his sister Bridget’s favorite books was Tales for the Perfect Child by Florence Parry Heide. It was funny, and I suspect Bridget identified with the book’s theme of using brain power to outsmart others to get out of doing chores. Our youngest, Brian, was lulled to sleep nearly every night while I read Margaret Wise Brown’s Goodnight Moon to him. Of course, Good Night Moon was the first book he thought of buying when his son was born last April. Picture books fueled my children’s capacity to dream and wonder. Pouring over them together was our time to bond. As a young mother, I knew I wanted to illustrate picture books but had no idea one day I would write them too. If I had known that, I would’ve written Love You to the Moon and Back for my kids. Instead, I will be able to read it to my grandchildren. It’s now available on Amazon. Getting the book into print is a dream come true for me. I wrote it so parents and grandparents would have a tangible way to give their little ones a sense of their all encompassing love. It’s message will reassure them throughout their lives. Knowing we are loved is what opens up doors and windows to let the heart fly free. It’s the only lasting gift we can ever give our children. Great post, I still have my first book! Thanks, Robert. Childhood is where my life long love of reading took root too. 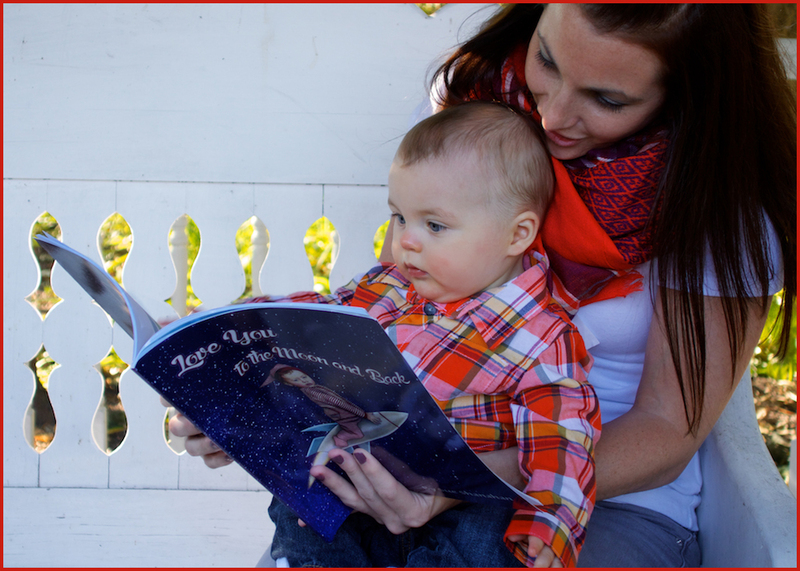 I love the look on Cam’s face as he looking at your book while his mother reads to him! Books have always been important in my life and I loved sharing my passion for books with my children. And now my children do the same with their kids. Books and their stories really do come full circle. Thanks for sharing, Sue! I read to my son when he was a baby, then a toddler, and a school age child. I am looking forward to reading to my grandchild. I plan to read your books. Thank you, Delphine. As an educator and a mother you know the importance of snuggle time with a book.